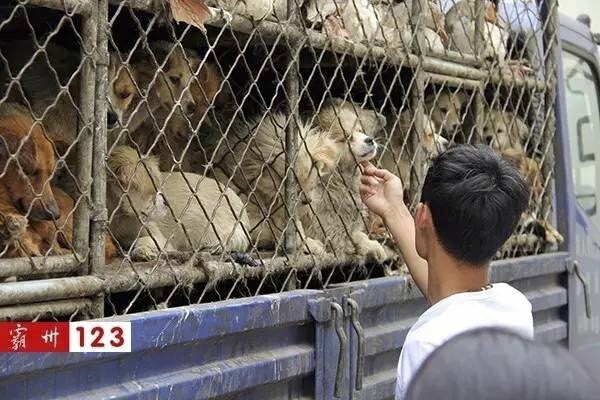 A truck load of 100 dogs, 100 geese and 100 rabbits has been surrendered to animal rescuers after Chinese police demanded Animal Quarantine Certification from the truck driver, which he did not have. The only other option was for the driver to pay an expensive 21 day quarantine bill, which he did not want to pay. Police allowed Chinese animal rescuer’s to remove the animals from truck and the animals are now safe and receiving medical attention. This rescue is known as #530. 100 small to medium sized stolen dogs, on board truck #503. 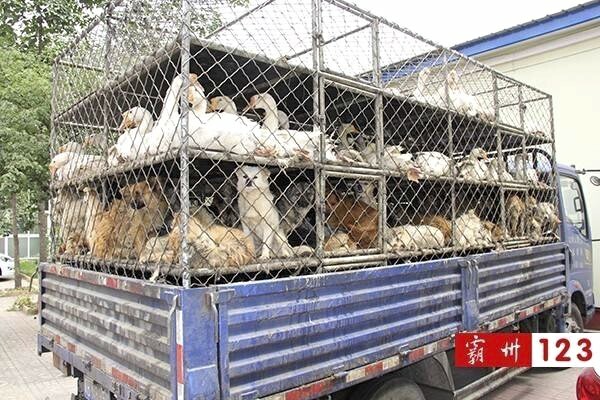 When Chinese animal rescuers in Henan Province, Bazhou City, initially intercepted a truck load of animals, they uncovered stolen pet dogs hidden beneath the load of geese. Below the hidden dogs was another layer, of 100 little rabbits. Activists informed police, who issued a 21 day quarantine on the load of animals, giving the truck driver 21 days to produce the paperwork, or pay for 21 days of expensive quarantine before receiving the animals back. The truck was first seen by an animal lover traveling in the opposite direction, at Shenzhen Expressway toll station. The car driver did a u-turn and caught up alongside the truck to see it’s cargo, then sent out messages and photographs to fellow activists, who then swung into action, from local and far away locations, even the Northeast and other sides of the country, joining forces from miles away. 123 animal rescuers took part in the rescue. China’s Animal Quarantine management clearly states “Slaughtering, operation, transportation and visits to exhibitions, transportation of animal products, performances and competitions of animals should be accompanied by “animal quarantine certification” and quarantine flag. The truck driver had none of the above. Acting fast, rescuers removed all the animals and placed them into temporary shelter, in a rented backyard. Some of the animals are critically injured and are now hospitalized. Photographs of the dogs are being sent to Tianjin, Beijing, Tangshan and more locations, in the hope owners can be reunited with their pets. 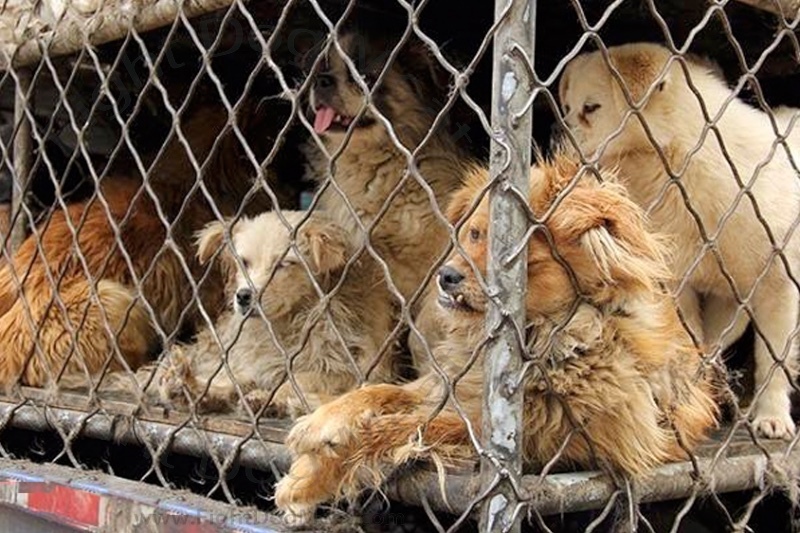 The truck originated from Tangshan, but the dogs could have been stolen from anywhere across the country. Please phone 13231169321 Dai Taishu, to help or provide much needed materials. The animals will not be sold for profit, they are ‘rescued’ pets. Fight Dog Meat says thank you to all the rescuers who took part and made this possible. 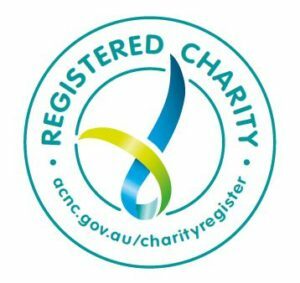 WE HIGHLY RECOMMEND the Vietnam Animal Aid And Rescue (VAAR), who save dog meat dogs and cats and run a Vet Training Education Program to teach local vets and trainees, humane practice on pets within Vietnam. Many local Vietnamese vets do NOT USE ANESTHETIC ON DOGS OR CATS DURING OPEN SURGERY!